Welcome back to another amazing party! We had a lazy week at home, filled with pool-parties in the backyard, epic sagas played out with my daughter's dollhouse, multiple trans-playroom railway builds and lots of book reading. It was awesome. We always go, go, go during the school year and tend to overbook ourselves during the summer so this past week of just staying at home and playing was really great. Over on the blog, we were busy as ever though! 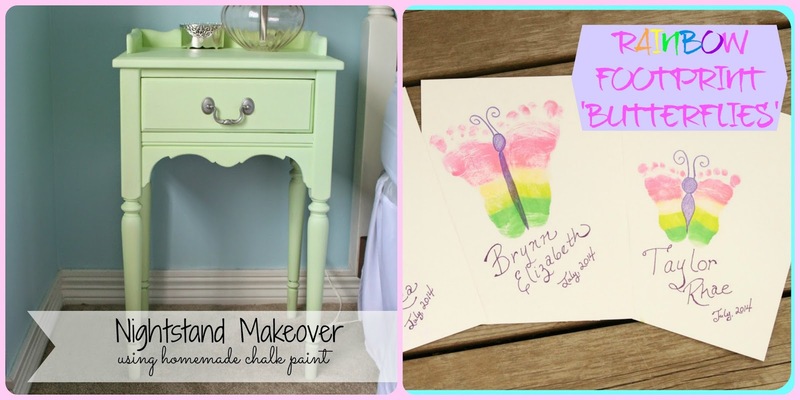 Jamie shared a quick and cute craft idea with her Rainbow Footprint Butterflies and I finally got around to painting this adorable nightstand with homemade chalk paint. 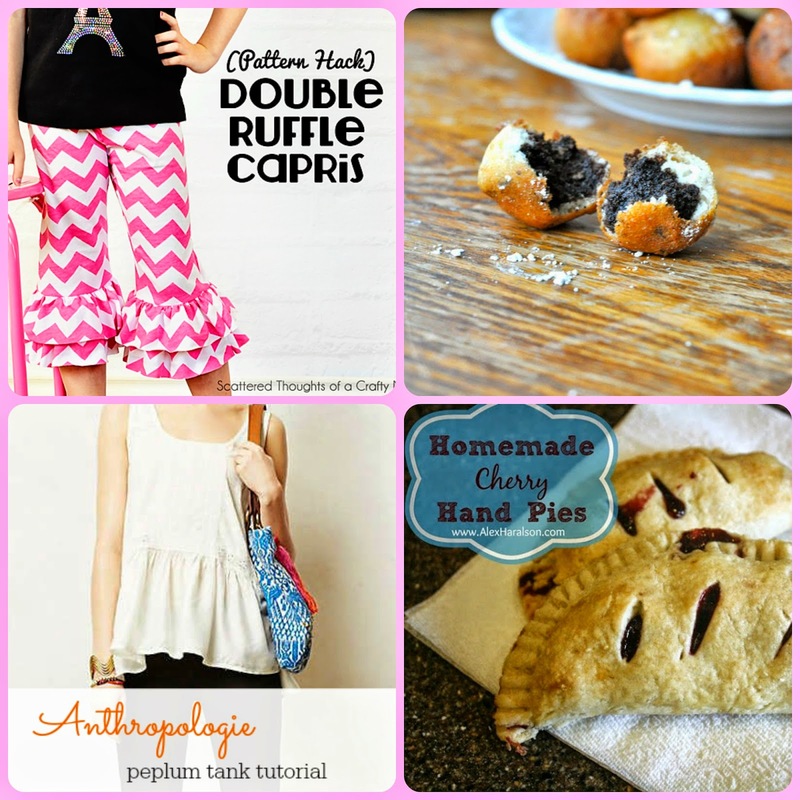 Our features this week were awesome (as usual). And our most popular feature was Ivy and Elephants super cute fork and spoon art. Love this! 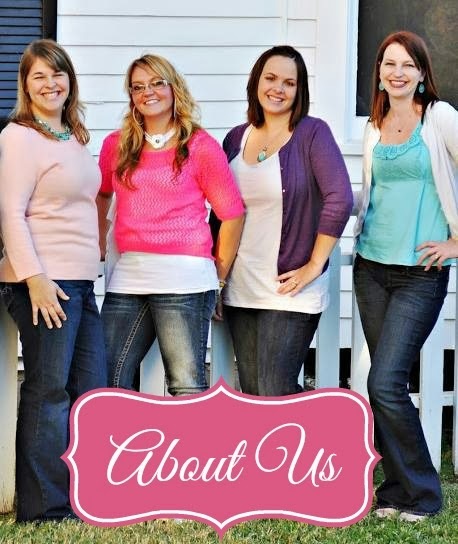 Thanks for hosting ladies! 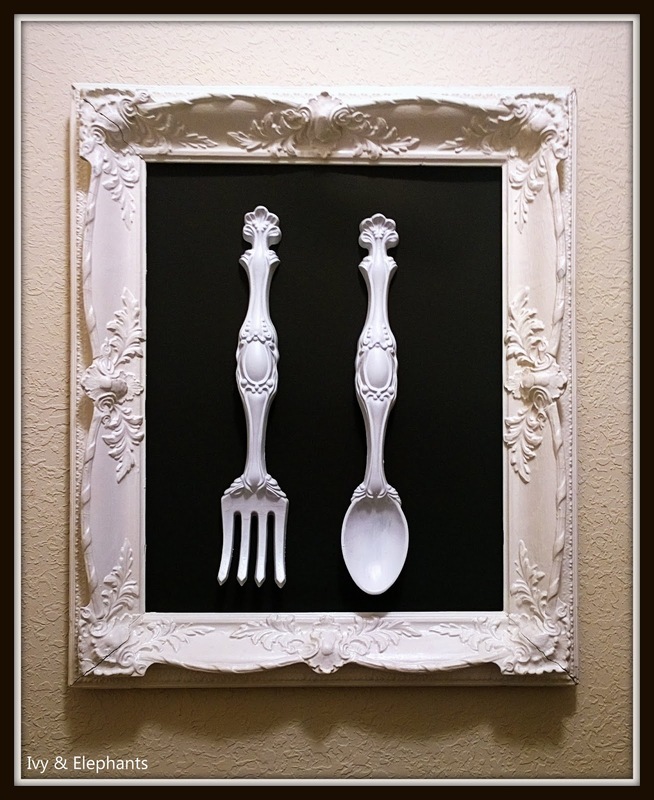 I love that fork and spoon art!! Thanks for hosting such an incredible party. Have a brilliant week. My link party contribution this week may not completely follow everyone's guidelines, but my friend Sunny from the well known blog Life in Rehab is in trouble and I'm doing whatever I can to help her get her head above water. It is my hope that as a spiritual community steeped in faith we can join forces and prevent her and her family from drowning. First time to join the party! Thanks, can't wait to come back every week. Hope you had a wonderful weekend. Thanks for hosting a great party! Thank you, thank you, thank you!!! OMG, I was so excited to see my little fork and spoon featured! It's always a pleasure to join in the fun! Thanks for hosting.